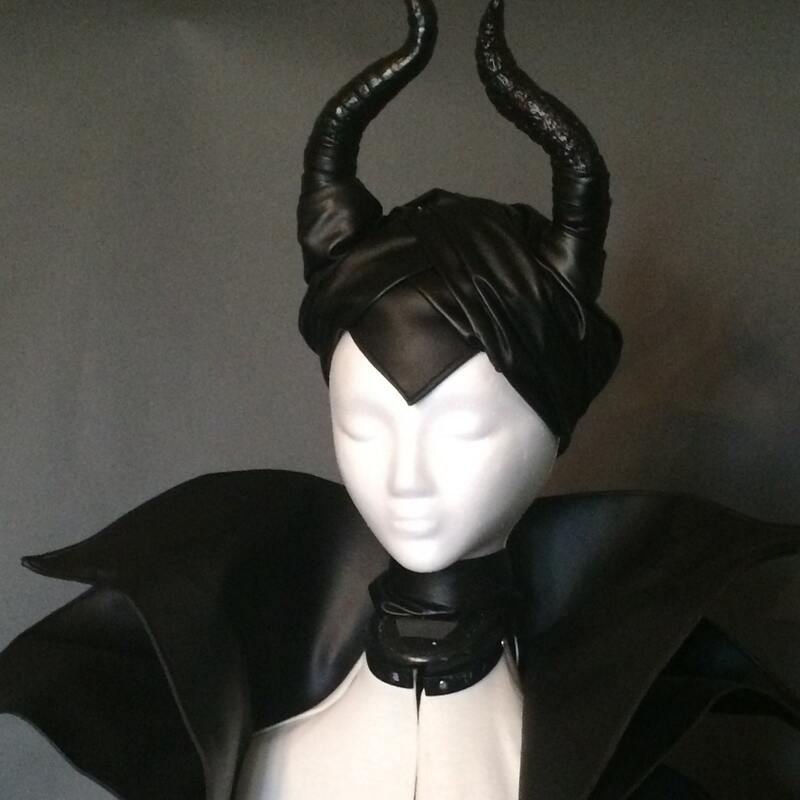 This headpiece features a hand sculpted horned base created from rigid plastic. It is then wrapped turban style in faux leather. The faux leather wrap has some stretch to it so it will fit fairly tightly around your head. Beautiful! Amazing craftsmanship! A little hard to put on, but stays in place so well.